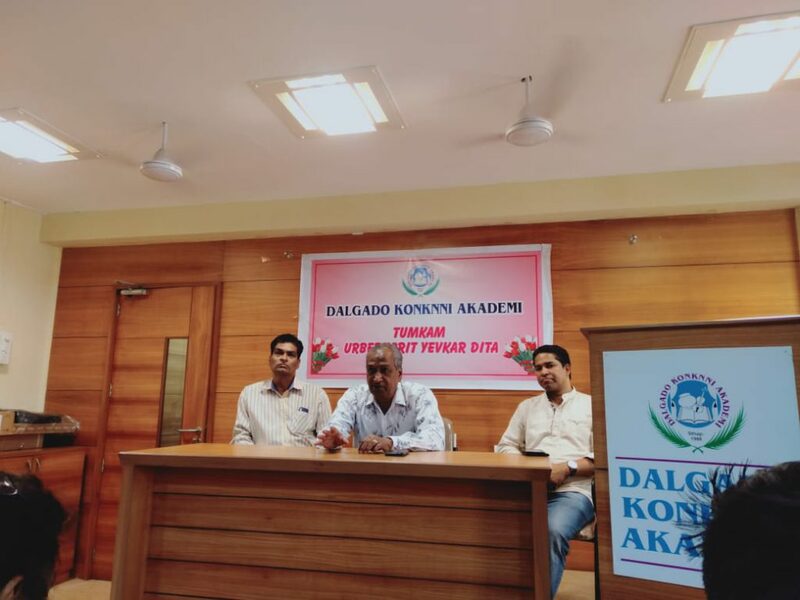 On 29th March 2019, 27 students of St. Xavier’s College Mapusa Goa, Department of Konkani went to a field trip to The Dalgado Konkani Academy with an aim to visit Mr. Tomazinho Cardozo; a dramatist and a playwright. After the introduction was done, Mr. Cardozo warmly welcomed the students. He narrated experiences from his childhood and also spoke about the problems his family faced after his father’s death. His first experience on the Konkani stage was at the tender age of 11, when his elder brother gave him an opportunity to sing a comedy song in his tiatr. Subsequently, when his brother gave up on writing tiatrs, Tomazinho made an attempt and wrote his first tiatr in 1964 namely “Khaxa Bhoinn.” He diligently continued writing with the encouragement and love that he received from the audience and kept on writing tiatrs at a prolific pace. Such was the impact of his writing that he also brought changes on the Konkani stage, such as; he introduced the revolving stage, used shadow play in one of his tiatrs, he also used flashback scene in another tiatr and also took away the practice of using the whistle that was used in between the tiatr. Besides, he also spoke about his achievements and failures. Out of the 44 Tiatr competitions organized by Kala Academy, Tomazinho participated in 31 Tiatr competitions and has bagged the first, second or third place on several occasions. 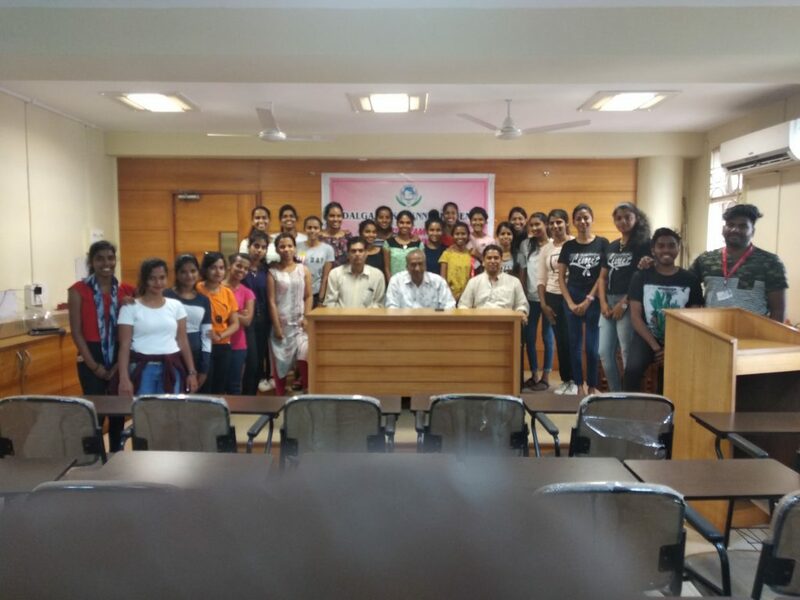 Moreover, he also shared his experience on becoming a Sarpanch, MLA and the speaker of the Legislative Assembly. Furthermore, he also told us about his hatred towards corruption, bribe and caste discrimination. At the end of the session each one was given an opportunity to interact with Tomazinho. While answering some of the queries, he also enlightened students in many ways and told students that “No one should run behind awards, but in fact the awards should run behind you.” Besides he also said that “whatever you do, you need to show a liking towards that particular thing.” Further he told the students about the importance of writing his tiatrs in the form of books. 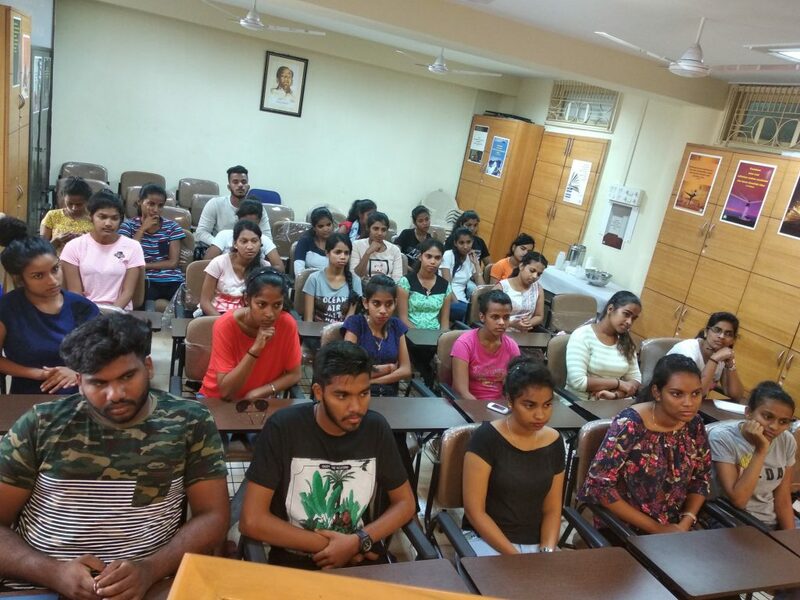 Ms. Pooja Naik, a student majoring in Konkani gave the vote of thanks on behalf of the entire class.